Social media is a necessary part of a comprehensive marketing plan, and any comprehensive marketing plan needs benchmarks to know where it stands in terms of its competitors and its overall success. Unfortunately, research still indicates that marketers struggle to set and monitor social benchmarks, but fear not if you’re one of them, because we’re here to help! What are the best practices in my industry? What is most important to my brand? Start by researching industry-wide best practices, like which social media platforms your industry is most active on, how often to post there, the types of content being posted there, and more. Next, look at what your competitors are doing and see where this overlaps with industry best practices. This will show you any spaces you can capitalize on that your competitors are ignoring or don’t realize are open. Increase your share of voice in your industry? Show off your company culture to help with recruitment? Note that your social goals are not limited to those three things, but they’re meant to get you started thinking about what you want from your social presence. It’s also possible you will have slightly different goals for each platform, but ultimately in any multi-channel social marketing strategy you also need to have overarching company goals that tie your entire social presence- and the rest of your marketing plan- together. For example, driving traffic back to your website is almost always a goal with social marketing, and you simply have to think about how to do this using social media in a way that fits with your brand. 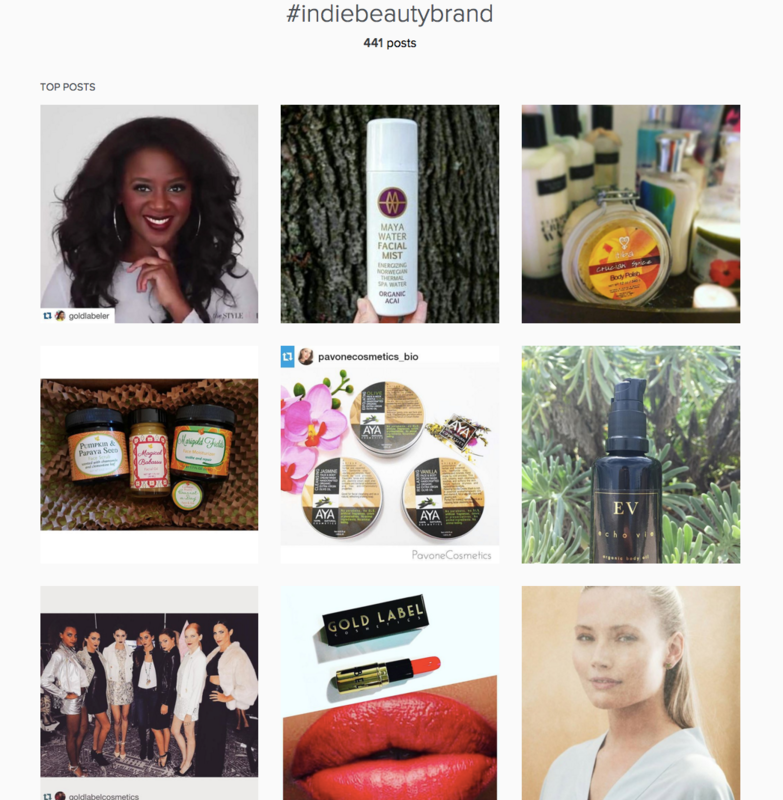 So let’s say your brand is a small newcomer in the cosmetics industry. You would start by researching industry best practices and seeing that fashion and beauty brands do well on visually-focused platforms like Instagram. Take note of what all of your competitors- large and small- are doing in this space, and think about what your goals are. You want to carve out some share of voice in this very noisy industry, and see that there’s room in the independent beauty brand space to do that. Next you want to look at what exactly other brands are doing that could help you reach your goals if you did them too, and what other brands are not doing that you want to try. That gets you started. Here’s how you keep going. Now that you know what your goals are and who you want to keep an eye on, it’s time to set up a measurement system. This is largely going to depend on your resources, and fortunately there are measurement options out there for every budget level and team size. Our example above would probably want to look at an option like our free Instagram account checkup, but as their business grew and their marketing plan became more sophisticated they would want something like our Social Suite where it’s possible to look at comprehensive metrics from Instagram, Facebook, Twitter and Tumblr all in one place, with key insights like these pulled out. Regardless of the tools you use to measure, there are specific metrics you want to pay attention to, and they always come back to what your goals are. 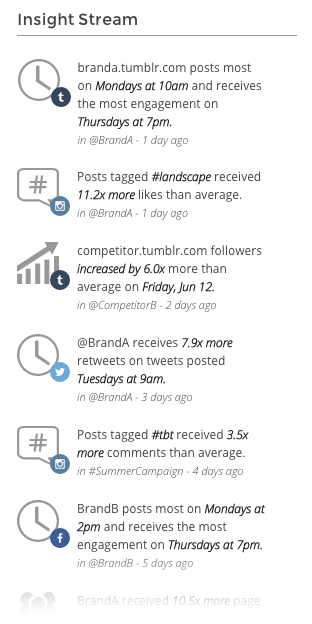 How are your metrics compared to those of your closest competitors, and compared to the biggest names in your industry? (Don’t despair at that discrepancy, but use it to set some stretch goals!) Our example from earlier would want to read up on how to track share of voice and the competition across platforms, for example, to see what metrics to concentrate. Come find us on Twitter! And if it’s a question about our Social Suite or other products, shoot our sales team an email. We’re always happy to help.